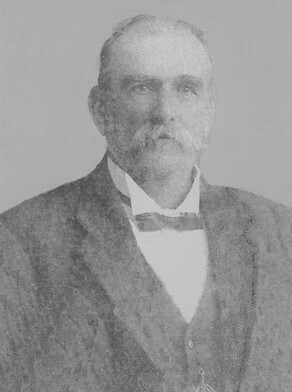 Thomas Law was born in 1848, second son of George Law and Martha nee Sutcliffe. On 5 August 1868 he married Elizabeth Jane Maxwell at Glebe Road Wesleyan Church. There were eight sons and three daughters of the marriage. He died at Glebe on 10 November 1915, aged 67 years. Elizabeth Law died 22 February 1928, aged 81 years. Thomas’s father George Law worked as a dealer in Francis and Grose Street Glebe between 1847 and 1858, and then became a hay and corn dealer (Law & Tinsley) in George Street Sydney. Thomas Law worked as saddler in 1875, was appointed Inspector of Nuisances for Glebe Council in 1879 and 1880, and operated as a hide merchant in Bay Street Glebe from 1884 to 1891. Thomas Law sued Charles Solomon for slander in 1903 where it was alleged Solomon was guilty of fraudulent & crimminal conduct as a dealer. The court awarded Law 15 pounds damages.Law presented a petition of about a hundred business people in 1896 asking that Glebe Road might be wood-blocked. Glebe Council supported the wood-blocking not only of Glebe Road but of other main thoroughfares of Glebe. Law told the Option Court in 1908 that any of three Glebe pubs that may be closed were necessary for the convenience of the public.After Judge Backhouse asked him which one should be closed, he told the Court it was a difficult question;”We do not all see through the same glass, Your Honour”, he said. 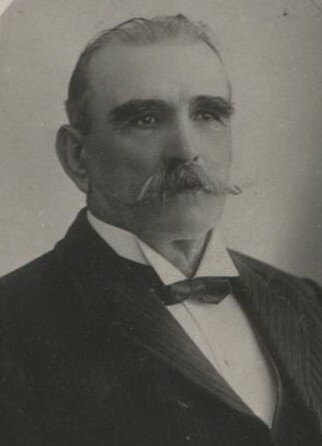 Thomas Law was an alderman on Glebe Council from 1889 to 1915. Law was charged with stealing a bag of chaff from Patrick Toohey’s Glebe Street produce store, defended by former mayor George Burcher. Alderman Abrams said in view of police court proceedings in October 1893 Law should resign from Glebe Council. Defending himself, Law produced a letter of sympathy from residents of Outer Ward. He was acquitted. Mayor Lucas ruled ‘they had no right to interfere with the private affairs of an alderman. Their duties were municipal, and they were sent to do a duty which could not be legally usurped’.